Since ancient times, sports practice is well-recognized as a health-promoting activity as it may act to improving our biological reserve. 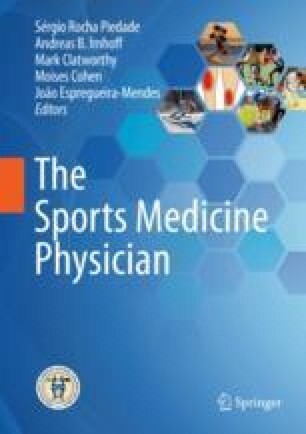 Sports practice is not an injury-free activity, and a clear example of that is sudden cardiac arrest, one of the most overwhelming events in sports practice, which could signal the first clinical presentation of an underlying cardiovascular disease. However, different aspects should be taken into account before permitting athlete’s sports participation such as the modality of sports, athletes’ biology and physical conditions, age, gender, presence of chronic diseases (diabetes, hypertension, heart disease), overweight, previous injuries, neurological disorders, psychological distress, as well as any physical impairment. All of these aspects reinforce the vital role of pre-participation evaluation in sports practice. This chapter lays out and discusses elements involved in PPE and particularities related to different athletes’ population according to their gender, age (childhood and adolescence, adulthood and old age), and level of sports practice (recreational, disabled, and professional athletes).